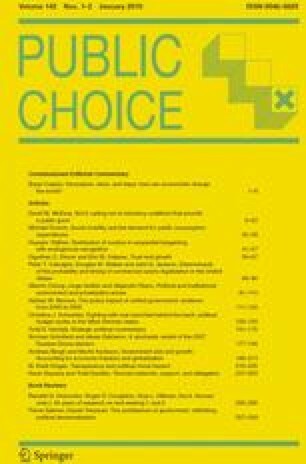 In this paper we consider the nature of local Nash equilibrium (LNE) for a model of the 2007 Duma election in Russia, using estimates of valence obtained from sociodemographic variables. We then extend this sociodemographic valence model by including institutional valences, the approval by voters of the various institutions, including the President, the Prime Minister, the State Duma and the Federation Council. We show by simulation that the vote maximizing LNE of this general stochastic model were not at the electoral origin. The dominant feature of the election was the influence of approval or disapproval of President Putin on each voter’s political choice.